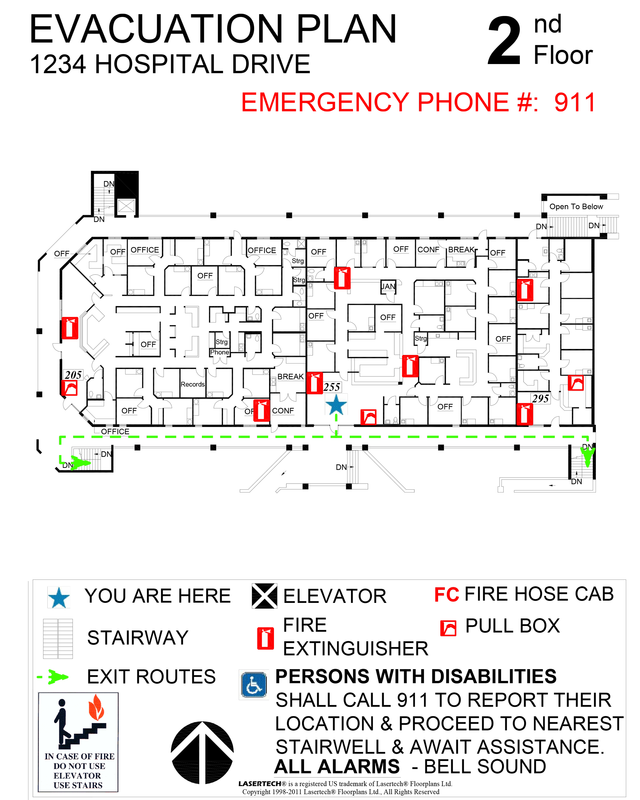 Every building in every city requires Evacuation plans, typically posted beside every elevator and emergency exit, showing your current location, fire safety features, exit routes, as well as emergency phone numbers and instructions. 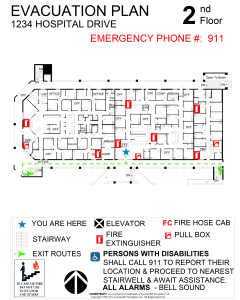 Again, if we’ve prepared a LASERTECH ® Floorplan on your building, the preparation of Evacuation Plans is relatively easy. Our field personnel would ensure they locate all fire alarms, exit signs, pull-boxes, fire-hose stations, and fire extinguishers. These will be automatically symbolized and added to the final CAD drawings. We would check with your local fire department as well, to make sure our plans comply with any local by-laws. Final plans would be plotted in color, with safety features and exit routes clearly highlighted in red.